I remember a time you couldn’t pay me to eat spinach, kale, wheatgrass, swiss chard or any other green food. I was so uninterested in taking care of my body, let alone consuming anything that looked like a vegetable. I wanted quick fast two minute artery clogging food. Its amazing to me how your body will literally crave what YOU feed it, and boy has my eating habits changed. Now I actually CRAVE greens! I eat my greens 5 to 6 times a week. I make smoothies, fresh juice, eat fruit as snacks, and make lots of salads. If I go a couple days with out some sort of raw fresh food, my body just doesn’t feel normal, my digestive system immediately acts up, and I notice my energy isn’t as high! I’ve found a few greens that will help to cleanse your body naturally, give you natural energy, and is full of nutrition. Kale is known as one of the healthiest vegetables on the planet, and it rightfully deserves that title. It is loaded with the good stuff. It has Vitamin A which is good for eye health, reproduction, and good immunity. Vitamin K is good for your skin, bone, and heart health. It is also great for making sure the blood clots properly. Vitamin C is great for boosting your immune system,skin problems, blood flow, fights cancer,and helps to regulate sugar levels in anyone who is diabetic. Kale also contains calcium which is required for the formation of bones, it also helps the blood to clot properly.It also provides a high level of fiber helps with digestion and having healthy bowel movements. Its contains more nutrients then I named here but it’s a must add to your weekly green list! I eat kale like its leaving the earth haha! 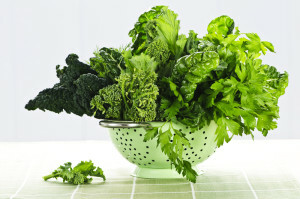 You can juice it, eat it as a raw salad, steam it, or add it to your favorite vegetable soup! Bok Choy is very low in calories and is a very nutrient-dense food. It is a rich source of vitamin A,C & K so it is good for your immune system, blood clotting, eyes, skin, bones, teeth, and it’s antioxidant content helps to fight off free radical damage. If helps to fight off cancer and also contains folate, potassium, magnesium and calcium which are all great for maintaining blood pressure and a healthy heart. Add bok choy to a fresh salad, juice them, or add them to your favorite stir fry! Collard greens not only taste great but are actually really good for you! They are rich in fiber which is great for a healthy digestive system, iron which is awesome for anyone struggling with anemia, vitamin a which is great for your skin, calcium great for the bones, vitamin k which is also great for bone health and helps the blood clot when you injure yourself. Collard greens also contain folate which helps to make new cells, and supports a healthy nervous system. You can eat them raw in a wrap with hummus, juice them, and veggies or steam them and add seasonings! Turnip greens taste great and are also loaded with nutrition. They contain iron which is needed and responsible for the formation of healthy red blood cells which ensures that enough oxygen is carried throughout your cells. Turnip greens also contain calcium and vitamin k which are great for healthy teeth, inflammation, and bone health which can help to fight off osteoporosis. They also contain vitamin e which is great for eye disorders, fights inflammation, great for the hair and skin, and it helps to fight off free radical damage! You can eat them raw with hummus, juice them, and veggies or steam them and add seasonings! 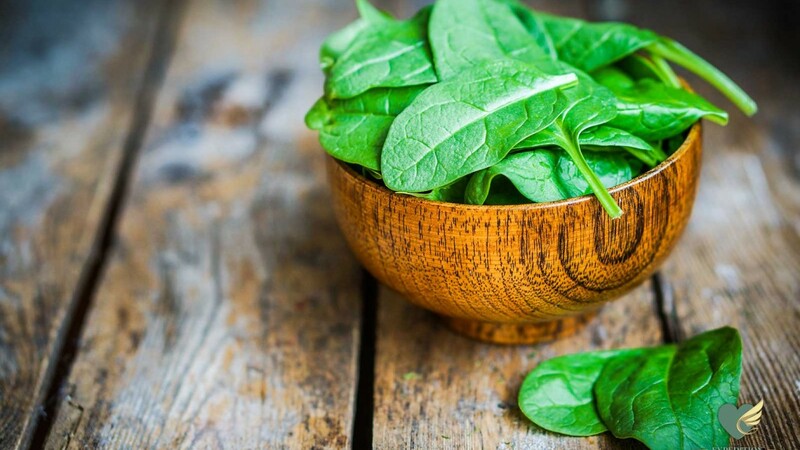 Spinach is low in calories but high in nutrients. It contains an abundance of zinc which helps to boost the immunity, is good for your skin, and prevents lower respiratory infections. It also contains protein, fiber which helps with digestion, vitamin b6 is great for maintaining a healthy liver and it helps to convert food into energy, iron helps with producing red blood cells and oxygen. 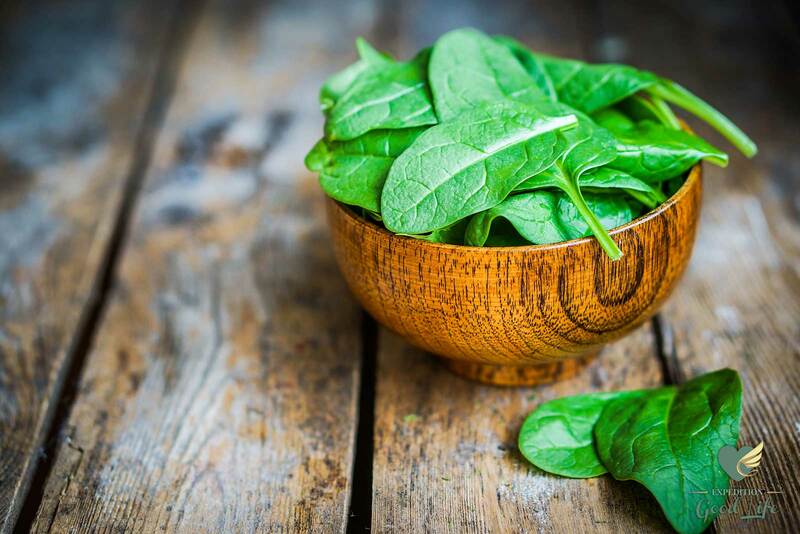 Spinach contains maganese which helps with creating a healthy bone structure, vitamins A,C,E, and K. All those vitamins assist in healthy immunity, vision, skin, hair, and fighting off cancer! You can eat spinach in a salad, juice it, add it to a smoothie, or sauté it with a little grape seed oil and lemon juice! Watercress is a nutrient packed powerhouse green. It contains more vitamin C than an orange and more vitamin A than apples. It is loaded with the amazing antioxidants beta-carotene and lutein which helps to fight off aging, cancer and is great for eye health. Watercress is also very alkaline in nature which helps to encourage healthy PH levels. It also helps to remove mucus and toxins from the lung and fights off common cold. Watercress can be steamed and used as tea, juiced, or eat with a salad! Romaine lettuce is one of my favorites. It is low in calories and contains high levels of vitamin A which is awesome for healthy skin, fighting off illnesses, and healthy vision. It contains omega 3’s which helps with depression, anxiety, cholesterol levels, and it is also 17% protein. Romaine lettuce is also rich in B vitamins (folate, niacin, thiamine), and it has a very high water content which will help with keeping you hydrated. It also contains phosphorus which helps maintain healthy bones and teeth! I love romaine lettuce for salads or you can also add it to your morning smoothie! Swiss is loaded with Vitamin A,C,E all of which are great for immunity, anti-aging, skin health, and fighting off illnesses. Vitamin K is great for strong bones, helps to prevents hearts disease, and plays an important role in blood clotting! Swiss chard also contains magnesium which helps support healthy immunity,regulates blood pressure levels and encourages normal blood pressure. It also contains potassium which helps to lower your blood pressure, regulates your heart beat, and keeps your muscles healthy. Juice it, add it to a salad, or a soup! Parsley is packed with nutrients including Vitamin A,C, K which will help with keeping your immune system strong, bones healthy, and your vision strong. Parsley contains eugenol which helps with joint swelling and is an anti-arthritic. It contains folic acid which helps to fight off stroke and heart attack. Parsley also contains calcium which is great for the bones, and iron which is important for red blood cells and oxygen flow. You can juice it, add the herb to dishes for flavor, or make a yummy tabouli salad. Cilantro is great for cleansing toxins from your liver and detoxing and flushing heavy metals (mercury, lead, and aluminum) from the body. It is loaded with antioxidants great for anti-aging, and dietary fiber which promotes regular bowel movements.Cilantro also contains iron which is great for anyone dealing with anemia, vitamin C for immunity, and K for healthy strong bones! I recommend juicing this amazing herb for optimum benefits!! You can also add it to a fresh taco salad, or as an herb to flavor a dish!